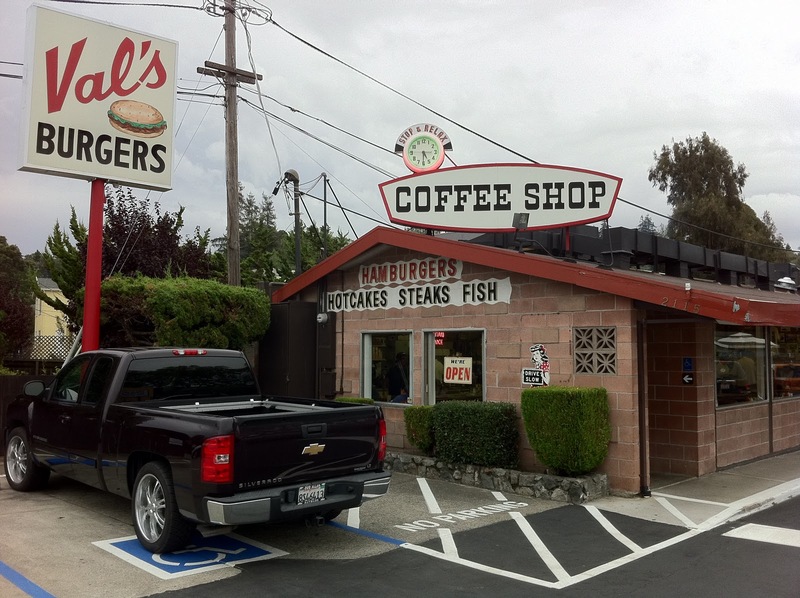 One of the places that I did have targeted on the trip west was Val’s Burgers in Hayward, just south of Oakland. 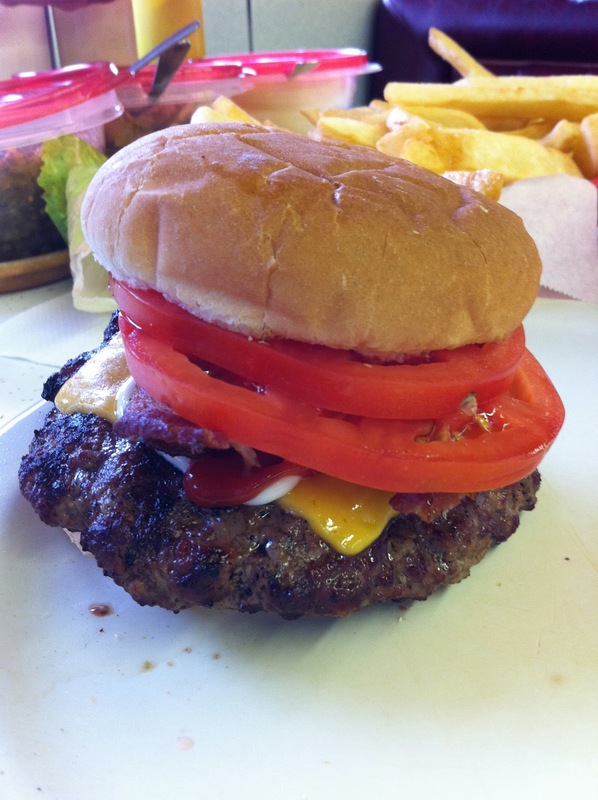 Val’s has been in business serving burgers and steaks since the 1950s. We headed down that way from Sonoma and arrived just ahead of the dinner-time rush. When we got there the waitress told us to pick a spot, so we climbed into one of the red booths against the front window and took in the scene. 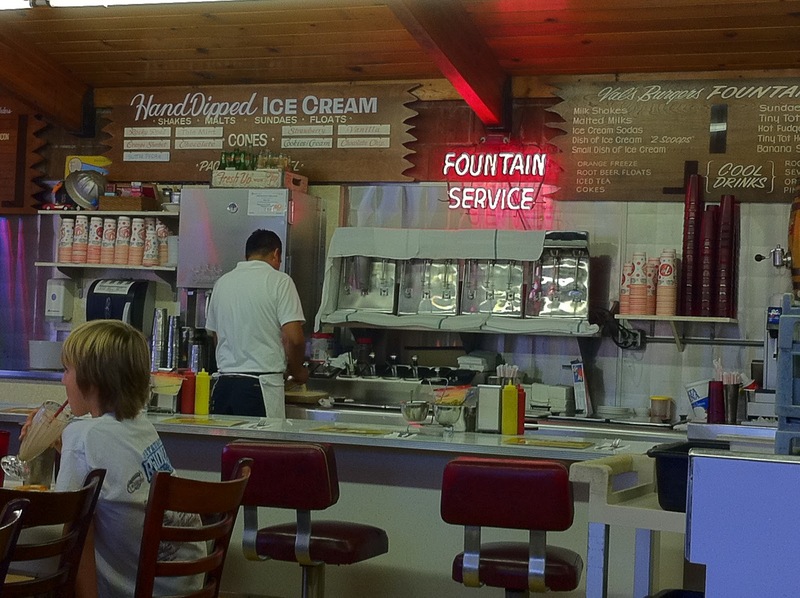 At the front right was the soda fountain with a grill at the right rear, counter running down the right side, booths on the windows and tables in the middle. When I was reading about Val’s in Hamburger America, they said that you had to try the signature shake, a “rootanana” (a root beer banana milkshake). They had tons of choices. Jo chose a vanilla malt, I decided to go with the root beer banana. So I tell the waitress that I want the root beer banana shake and she looks at me like I have two heads. Says no one has ever ordered one of those in the eight years she’s worked there. I guess you can’t believe everything that you read. It was amazing! 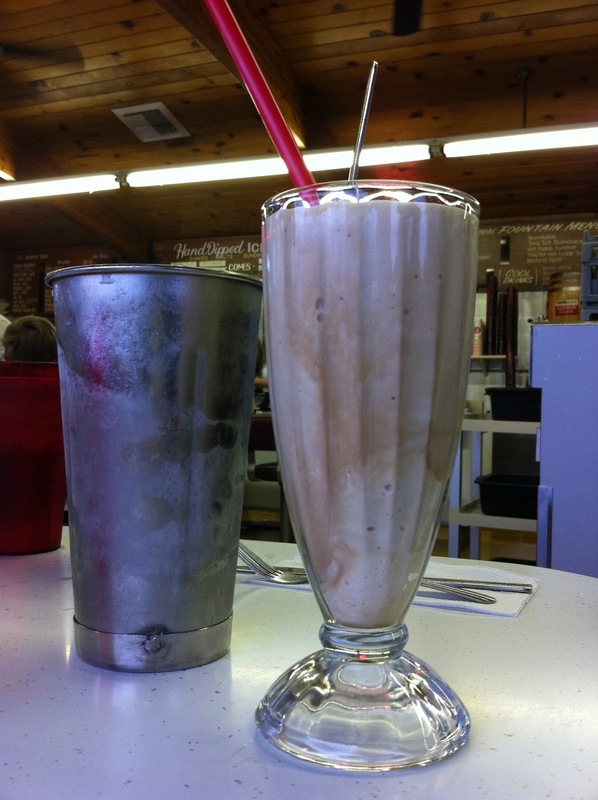 I don’t know that I’ve ever had a shake that tasted any better. 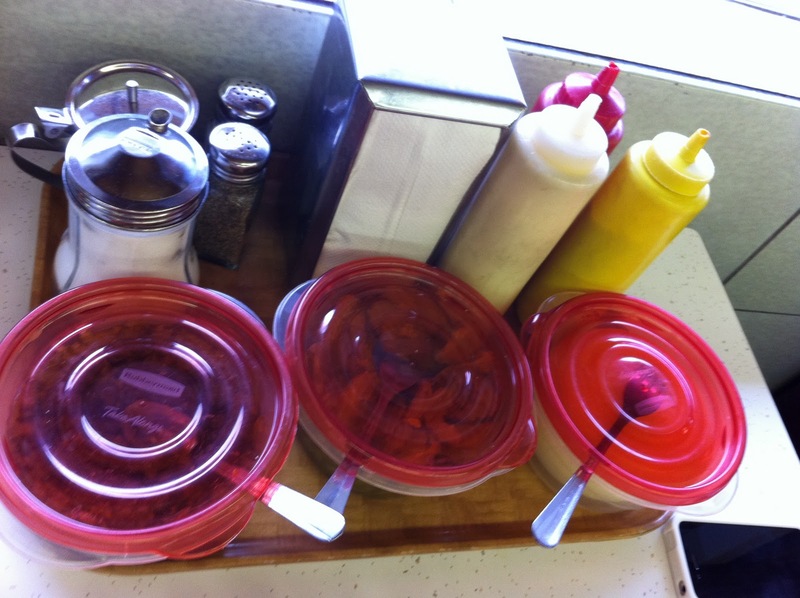 The burgers at Val’s come in three sizes – the Baby Burger (third-pound), the Mama Burger (half-pound) and the Papa Burger (a full pound). Jo and I both went with the Mama Burger. In retrospect, I would have appreciated the challenge of the Papa Burger, but I don’t think I could have eaten it. I was stuffed after the Mama Burger.